Jo Wheatley, "A Passion for Baking"
Jo Wheatley was 2011's Great British Bake Off winner, delighting the judges with her raw talent, original ideas, and delicious baking each week. Now, in her first book, Jo shares the tips, tricks and family recipes which she has developed in her own kitchen. 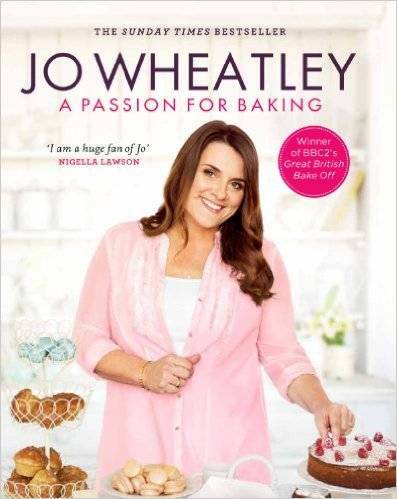 With the straightforwardness of a busy mother, but an eye for the pretty details which characterised her winning creations, Jo's love of baking shines through this collection of more than one hundred recipes. From the family bakes which Jo raised her three hungry boys on, to the Afternoon Tea treats for her friends, and the mouth watering savoury pies and tarts baked in her very own Aga, all of Jo's recipes will inspire you to develop your own passion for baking. Recipes include a perfect Sticky Toffee Pudding, a heartwarming Cinnamon Swirl Loaf, indulgent Chocolate Mud Cake, and mouthwatering Mini Pistachio Meringues. From the traditional, to new versions of family favourites, A Passion for Baking will fill your home with delicious, home-baked food all year round.